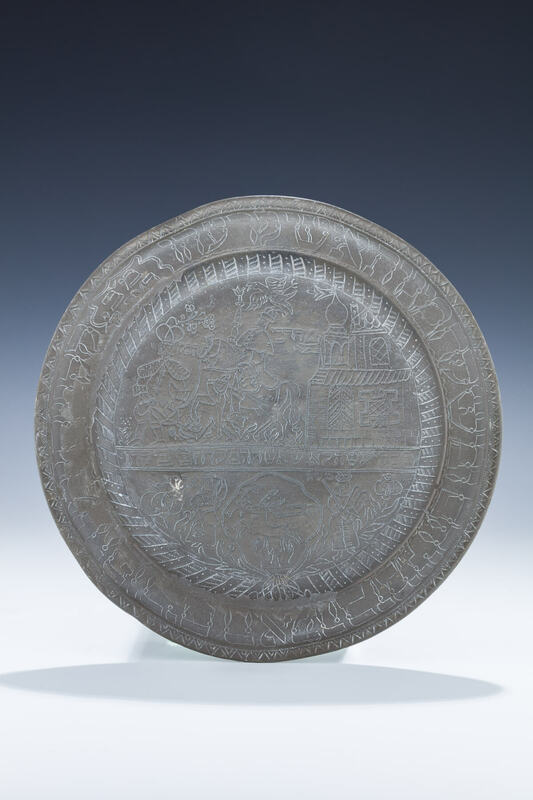 AN EARLY PEWTER PURIM PLATE. Germany, 1782. Engraved with Mordechai in royal garb, riding the king’s horse being led by Haman in front of a royal building. Also engraved with Moshe, Aaron, Cohanic hands, a stag with the engraving in Hebrew “Run like a deer.” Further engraved with Purim related sayings. 9.5” wide.